Ribollita in Italian means re-boiled. 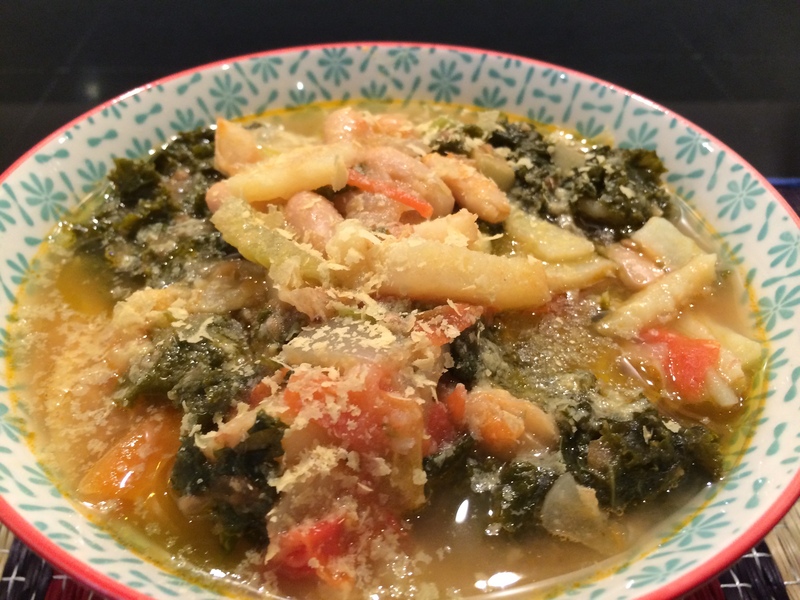 It is a traditional and hearty Tuscan soup that was originally made by using leftover vegetable soup heated in an earthenware pot with thinly sliced onions and olive oil sprinkled atop. It may date back to the Middle Ages, when servants would gather up the lords’ left-over and food-soaked flat round bread that was used as a plate and boil them up for their own meals. Today, it is generally made with cavolo nero. Lacking that (and that happens often to me), you can use cabbage, kale, chard, spinach or even collard greens. I used kale this time because that’s what the fruit and veg shop had. I make an enormous pot of this when I’m going away on business so that Mr. GoodEating has something hearty and healthy to eat whilst I’m gone. 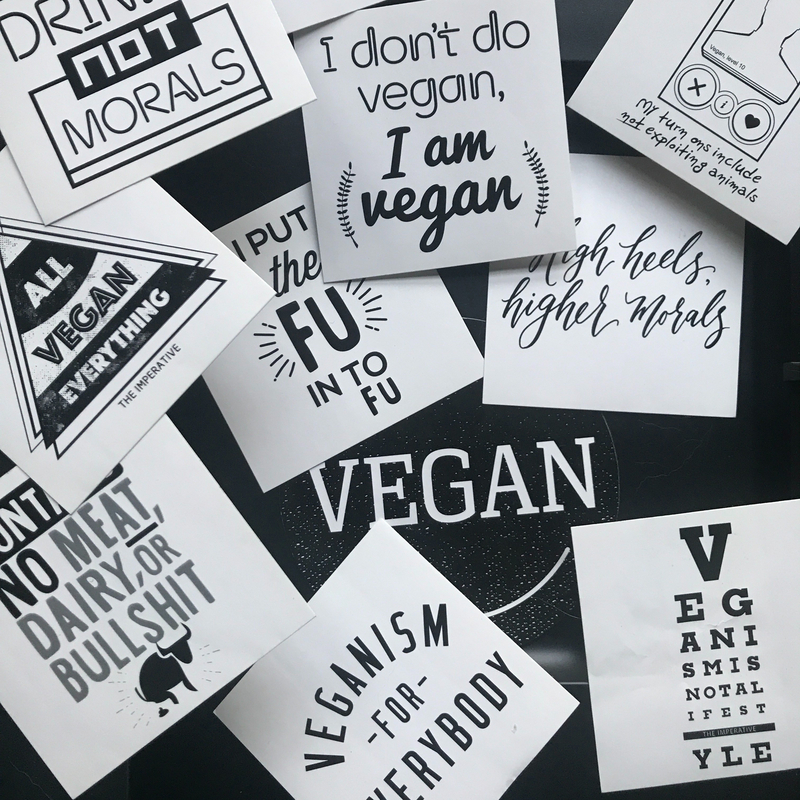 Traditional and inherently vegan. Quantities here are for two with enough left overs. Recipe after the photo. Heat the oil and asafoetida over medium heat in a deep saucepan. Add the onion (or leek), carrot and celery, cover and cook on low to medium heat until softened (recipe books tell you this takes 5 minutes. I don’t know on what planet such things happen, but I assure you that to soften these vegetables, it takes closer to 20 minutes), stirring from time to time. Don’t let the onions burn and if you do, it’s ok, it will all taste good in the end. If you are adding fresh mushrooms, add them to the mix now and let them cook until they release all their water and it gets reabsorbed (3-5 minutes). If you will be adding dried mushrooms, instead, just hold off a minute. Then add the potatoes, tomatoes and thyme. Mix well. If you are using dried mushrooms, add them and their soaking water at this point. Cover and let the mixture cook for 10 minutes on low to medium heat, ensuring nothing burns. If you need to add a bit of water to keep things going, then do so. These 10 minutes might be enough to cook the potatoes, so test them with a fork. Add the water/vegetable stock and let it come to a boil. Lower to a simmer and add the cavolo nero/kale, beans and smoked paprika. Mix well. Season with salt and pepper and check if the potatoes are cooked. Once the potatoes are cooked, your ribollita is ready. Now, you have two options: 1) serve hot with a good drizzle of olive oil and sprinkle of nutritional yeast, milled linseeds and pepper OR 2) preheat the oven to 180F, line a large ovenproof dish with thick slices of crusty bread, place the soup in this dish and bake for 10 minutes, eventually serving as set out in 1. I don’t usually opt for 2 because it takes more time, but it is a delicious option.